One of the many perks of my job is I get to travel to some pretty cool places. Most of them I travel to quite frequently, so I sometimes take it for granted. However, every once in awhile I get to go to a place out of my ordinary footprint. I was scheduled to work in New Jersey this week, so I figured I'd take the opportunity to visit some cool places in NYC. I have work related events during the middle of the week so I knew I wouldn't have much time to myself. My wife and I came out to NYC a few years ago for a few days and did most of the touristy stuff one would do in the city. While we were here we briefly went through Brooklyn and I have been yearning to visit again to get a full dose of the borough. Brooklyn reminded me of the Wicker Park and Bucktown areas of Chicago which I loved while living there. It has the same hipster, gritty feel. Great coffee shops, dive bars, record stores, trendy restaurants and boutique shops that you can spend hours in. My review of Brooklyn is by no means an expert travel review on where to go. In fact, the places I went to could be considered crappy by people reading this. I'm just going to give my feedback on some pretty cool places I visited while there. I landed around 5:30pm yesterday at LaGuardia, which is about a 15-20 drive to Brooklyn. I immediately headed to Brooklyn Brewery. I researched a bit before and saw that the brewery has daily tours from 5-7pm which I was going to miss. The bar inside is only truly open to the public Friday through Sunday. Oh, how I wanted to write a Brew Review of the brewery and talk about the great beers I drank, but it just wasn't meant to be. I walked into the shop entrance around 6pm and started trying to negotiate to hop into the tour, but the lovely gal at the store desk wasn't having it. Regardless, it was a pretty sick setup inside which made me more ticked about them not being more open to the public. The brewery sits on the edge of Brooklyn in a cool, old school warehouse. Its complete with stained glass and exposed brick and duct work. I checked out the place, took a few pictures of the place, and went on my way after I bought a tin tacker sign at the shop (because even though I didn't have a beer there, it still counts as a brewery visited...my sons that will read this will disagree with me just to bust my chops). Make sure to check out the brewery before you plan on visiting to make sure you go when the bar is either open or on a day they are giving a tour, because it really is a sweet looking brewery in a great neighborhood. 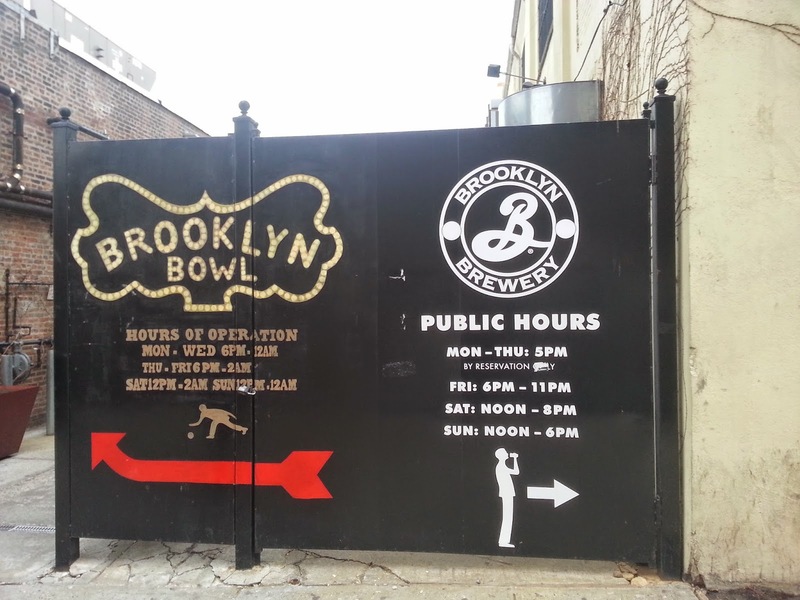 If you visit on closed hours, there are plenty of cool dive bars in the area that serve Brooklyn Brewery beer. 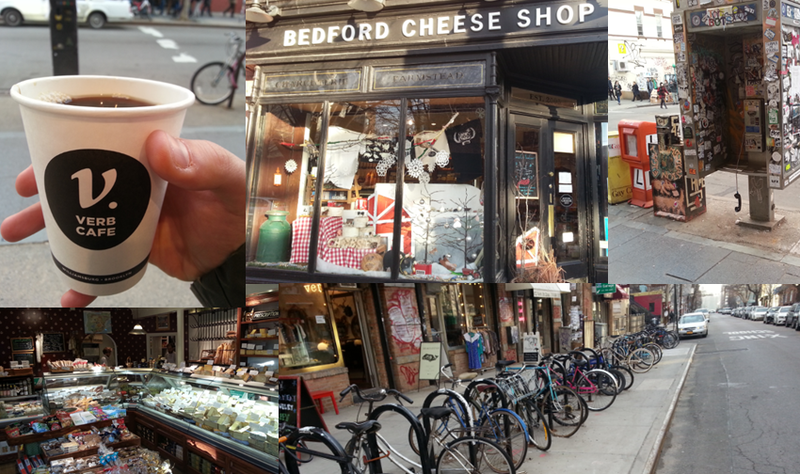 Next, I headed up to Bedford Avenue which I passed over while driving the brewery. It was about a 5 minute walk from the brewery. Bedford Ave. is lined with boutiques, coffee shops, hip restaurants, dive bars and loaded with characters walking the sidewalks. I walked up a down the street taking in the sites and stopped in a few places to get the full feel. First, I stepped into Bedford Cheese Shop and got smacked in the face with the pungent odor of 50 different kinds of cheese, prosciutto, sausage and other salted goods. The shelves were lined with kitschy jarred pickled items and European crackers and cookies. Next up, I stopped in Verb Café to get some fuel. The café had a neat tin ceiling and was pumping great tunes from a nice system and record player in the corner. I got a small drip coffee and went on my way. The coffee was perfectly strong and just what I needed after a long day that was just about to get longer and more awesome. After Verb, I walked up and down the street scoping out dinner spots for later. It reminded me of Six Corners in Wicker Park with all of the light posts, signs and racks filled with bikes, while hipsters were cruising by. It appears Brooklyn has its own bike theft issues as I saw several frames completely stripped and still chained to a post. I guess there are gutless cowards everywhere. At this point, I figured it was time to get down to business, so I Googled the closest record shops. I found two within 10 minute walking distance. I actually found Earwax Records heading to the other place I found. I walked in to the building that was shared by another boutique. The place didn't have a massive selection, but their stuff was reasonably priced. I'm still an amateur when it comes to vinyl, so I thought it was reasonably priced especially since it was NYC. This place had more new, unopened records rather than used. I sifted through the selection, while trying to ignore the cocky, pompous workers that I have recently grown to hate. I picked out two albums, the first Vampire Weekend album which was only $15 and James Brown Live at the Apollo from 1962. I figured, what better way to celebrate Brooklyn than getting a couple of records that had New York roots. Well, that's not what I figured before I bought them but I felt pretty cool when I realized it. When I took the records up to the cash register, the d-bag owner, who was a wannabe Bob Dylan scoffed at me a bit for my selection. That was enough for me to never set foot in the place again. Its too bad because it was a cool setup inside. Next I headed another 10 minutes down the road past basketball courts, baseball fields and more bike riding hipsters to a neat little place tucked into a bank of apartment buildings. This place was a used record store with a much more eclectic selection. It had an extensive collection of Rock, Reggae, Funk, Electronic Dance, Folk and Soul. Records were stacked on top of records in this small space and there were 3 workers chilling which was 2 more than it needed. The layout was awesome and I wished I could have stayed longer to check out more of the selection, but it was getting dark and I had much more to see and do. After leaving Co-Op 87, I started heading back to the main drag of Bedford Ave. I quickly got detoured after I got attracted to a glowing neon sign that was screaming my name. Spritzenhaus 33 called me in by showing me all of its taps through the huge windows. Plus, I figured I had been in Brooklyn for about 2-3 hours already without having a beer, so it was time. What would a blog be without travel, music AND beer? The bar was set up like a German beer garden and had bench seating with a wood-burning sitting center stage. It had a massive draft selection, which I chose a German wheat beer from. I relaxed for about 20 minutes, enjoyed my tasty beer then took a walk around the bar. It seems like this was a newly built bar, but it had an old school feel with more exposed brick and duct work which I think is a Brooklyn regulation. I wish I had time for a snack, because they had a house made sausage selection that was insane. It was time to move on to dinner though and keep it movin'. It was getting late, so I figured I needed something to eat. I didn't want to fuss with a super formal sit-down meal, so I headed back to the main Bedford Ave. strip to a place I had seen earlier in the evening. I saw a line that roped outside of The Meatball Shop, so I figured it had to be good. It was a mix on Italian street food I guess, if there is such a thing. Regardless, it was pretty darn good. I sat down at the bar instead of waiting the 45 minutes on a Tuesday for a table. I ordered a spicy meatball 'smash' sandwich with a side of spaghetti and an ice cold IPA. The sandwich was awesome and the pasta was surprisingly great too. The restaurant had a great vibe with a ton of young professionals out and enjoying some of the first nice weather of the season. I chilled, ate my meal, ordered dessert because I could and got the eff out. Great place and I thnk Zagat rated. Highly recommended with an extremely nice wait staff. I headed over to Brooklyn Bowl because I bought tickets to see Robert Randolph and the Family Band. I won't get into how amazingly awesome the band was, because I'd like to save it for a concert review (teaser). 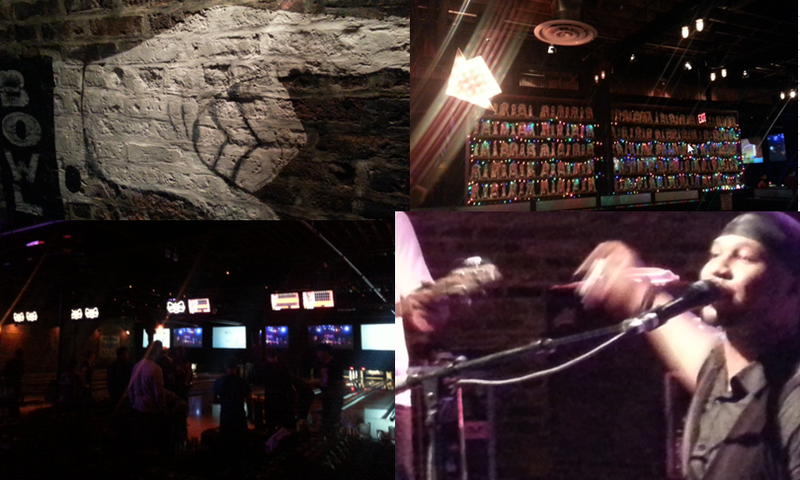 I will get into how amazingly awesome the Brooklyn Bowl venue is though. 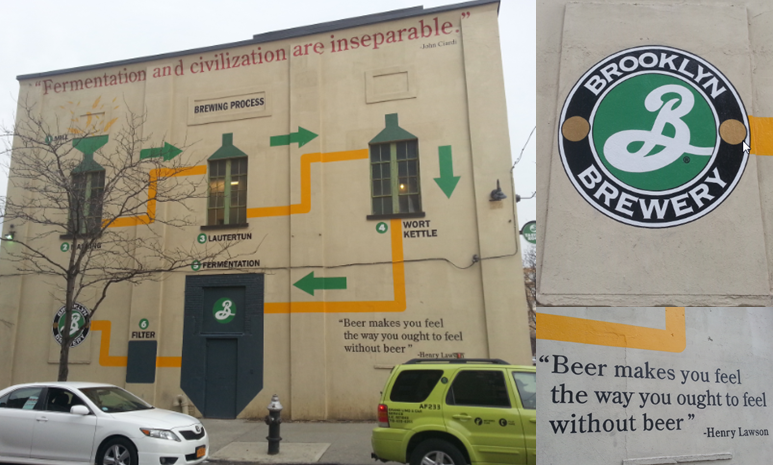 It actually worked out perfectly because I started at Brooklyn Brewery and it is literally next door. I walked in and was instantly impressed. There were glowing neon lights everywhere and coolness just dripping from the ceiling. Robert Randolph was just going on, so I ran over to check out the show. After the show, I took a stroll around the place. It has a full bowling alley with about 20 lanes, which is insane. You can bowl while watching the show. What a crazy setup. I have never seen anything like it. The décor made the place. Just wacky side-show, circus posters and artifacts everywhere. This is a must stop for not only anyone visiting Brooklyn, but anyone visiting NYC. Brooklyn Bowl and Robert Randolph ended my night. I headed out to Jersey for work the next day which was about a 45 minute drive with traffic. What an experience. Please visit Brooklyn. I felt at home. Mainly because it has a soul and grittiness that I adore.